Roger Neilson had seen enough. 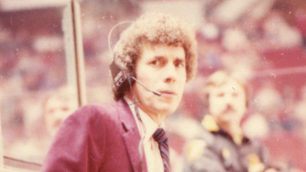 With the Vancouver Canucks trailing the Chicago Black Hawks 4-1 in Game 2 of the 1982 Western Conference Final, coach Neilson couldn’t take any more of referee Bob Myers and his questionable officiating. “When that went down, Myers was calling tons of penalties and they were suspect calls,” recalled Canucks goaltender Richard Brodeur. “It got really bad in the third and Roger was pissed off. Then I looked over and I saw the towel come up and I thought, ‘what the hell is he doing there?’ Then I thought ‘oh yeah, that’s cool, I like that.’ Then the other guys put the towels up and everyone was doing it. 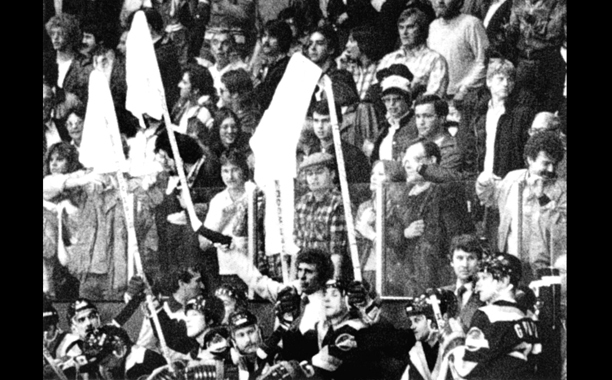 According to Garry Raible, contributor to the book Canucks at 40, Butts Giraud, owner of a Vancouver t-shirt company, was selling white towels outside the Pacific Coliseum before Game 3. What was meant as a symbol of surrender gave Vancouver a mental edge over Chicago as the Canucks swept the next three games to win the series and advance to the Stanley Cup Final for the first time in franchise history. The ‘Towel Power’ tradition lives on to this day, 28-years later. Canucks fans use towel power as a means to pump up the home team during the playoffs; prior to games at Rogers Arena, Canucks staff towel every seat to ensure no fan is left empty handed. Over 18 thousand Canucks fans waving towels in unison, all hungry for playoff success, is quite the sight, one today’s players do not take for granted. Alex Burrows made his Canucks playoff debut in 2007 during a game that went down as the longest in team history and the sixth longest playoff game in NHL history, a 5-4 quadruple overtime Vancouver win over Dallas. The towels didn’t receive an official assist on Henrik Sedin’s game-winning goal at 18:06 of the fourth overtime, but they might as well have. Canucks fans are rabid on their own, put a towel in their hands and they kick it up a notch. Although the Canucks were the originators of the towel tradition, there have been plenty of duplicators around the NHL, including in Ottawa, Chicago, Toronto, Calgary, Boston, Pittsburgh, New York, New Jersey and Anaheim. Towel waving has become so popular in professional sports that on any given night fans of the Cleveland Cavaliers, Dallas Cowboys, Notre Dame Fighting Irish or Boston Red Sox are cheering with a twirl of a towel. While Fowl Towels (Anaheim Ducks), Homer Hankys (Minnesota Twins) and Rally Towels (Philadelphia Phillies) all have their place, the significance behind them just isn’t the same. 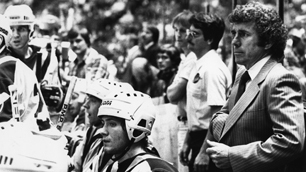 It came from the brilliant mind of Roger Neilson, a man always ahead of his time, who provided Canucks fans a means to get their team ahead in the game.